Manufacturer of a wide range of products which include nylon plast polyester bellows. 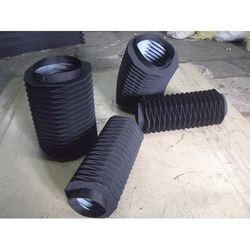 We are one of the eminent manufacturers, exporters and suppliers of an extended range of Nylon Plast Polyester Bellows. Manufactured in accordance with the set industry guidelines, these durable and lightweight bellows are vastly admired. The proffered series is extremely popular for its high strength and excellent performance.